Conversion to LED enables farms to save up to 89% in lighting energy costs and with energy consumption a key area of expenditure, it’s the improved design and management of a dairy barn’s lighting system which is essential for improved profitability and sustainability. Wiltshire based SMARTech energy are specialists in lighting designs within the agricultural industry and along with reducing energy costs, it’s the additional benefits of improved lighting which are helping farmers to make smarter, faster business decisions. 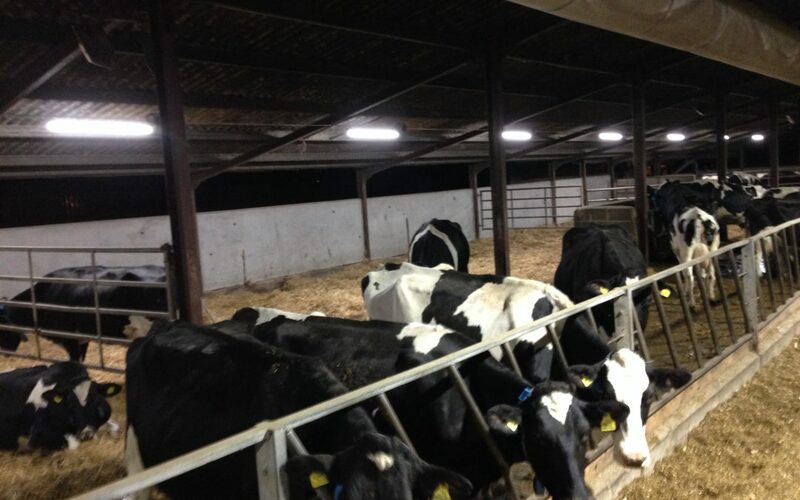 Proven research into lighting installations in dairy barns, has identified the potential to increase milk yields by 6-10% – indicating that milk production can be increased by regulating the dairy cow’s exposure to light. Additionally, energy expenses for lighting maintenance are reduced and the overall improved lighting enhances the operating and welfare conditions for both the farm workers as well as the cattle. It’s these benefits, combined with the potential to increase milk production which ensures a good return on investment. MD of SMARTech energy, Stuart Pearce says “LED lighting is delivering significant energy savings as well as better-controlled lighting across farms. Innovative energy saving technologies which help to reduce carbon emissions and cut costs are shown to improve a farm’s profitability – and not only on the bottom line, but also enabling new business growth and productivity”. For farmers looking to install or re-fit their livestock houses with energy efficient technologies such as LED lighting, call SMARTech energy on 01225 635 660. Energy consultants from SMARTech energy will be attending the Frome Livestock Auctioneers on Wednesday 27th March from 9am.